and in the evening relax in one of the night spots and savour the delicious local specialities. 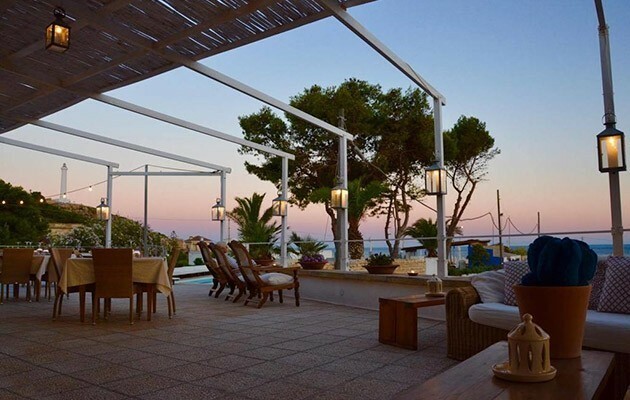 Approdo Boutique Hotel stands in the southernmost tip of the Salento region, overlooking the tourist port of Marina di Leuca, in an area rich in night venues, restaurants and disco bars. The waterfront promenade is about 800 m away. 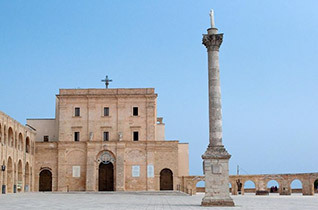 Just 6 km from S. Maria di Leuca are some spectacular sandy beaches; the famous Maldives of the Salento are about 8 km away; the airports are distant respectively 110 km (Brindisi) and 250 km (Bari), while the town of Otranto is 58 km away and Gallipoli 48 km. 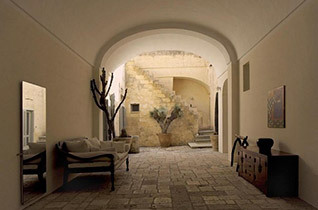 A welcoming Mediterranean ambience with large, well-lit spaces – the Approdo Boutique Hotel is focused on ensuring the well-being of its guests with all the love and passion of the Rossi Family who purchased it back in 1964, and are now third-generation owners. 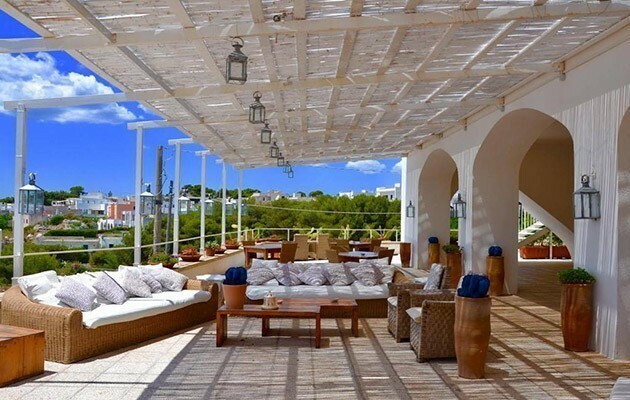 Its panoramic position, a splendid terrace with sea view, a prestigious restaurant and Sushi Bar make it an authentic, cosy haven. 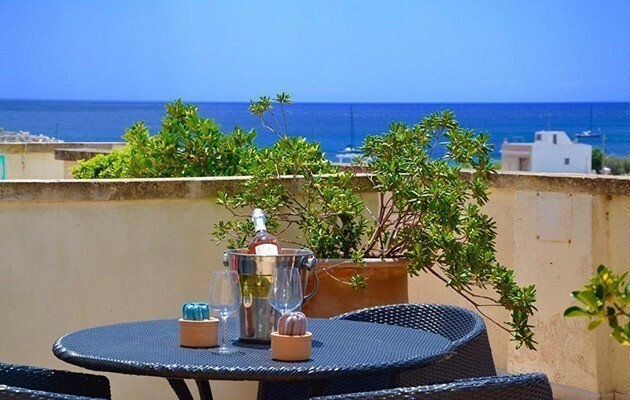 The comfortable 22 New rooms of the Approdo Boutique Hotel measure some 25 m2 with either a direct or side sea view, or a view on to the pine wood, and have free Wi-Fi connection. 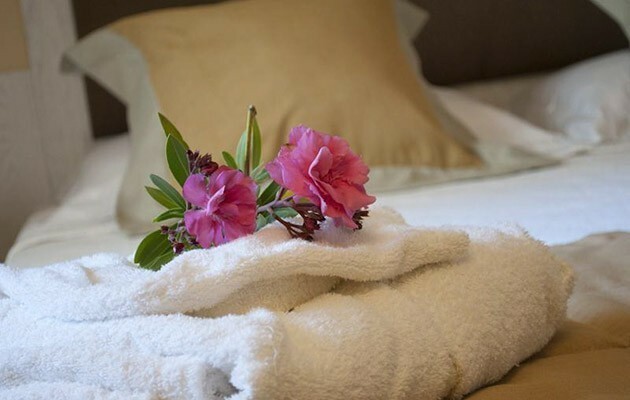 All rooms have en-suite with shower except for the only Suite, which has two en-suites, one with a shower and the other with a hydro-massage tub. Guests of the Approdo Boutique Hotel can use the Lido Samarinda, which is some 800 m from the hotel, along Lungomare Cristoforo Colombo. 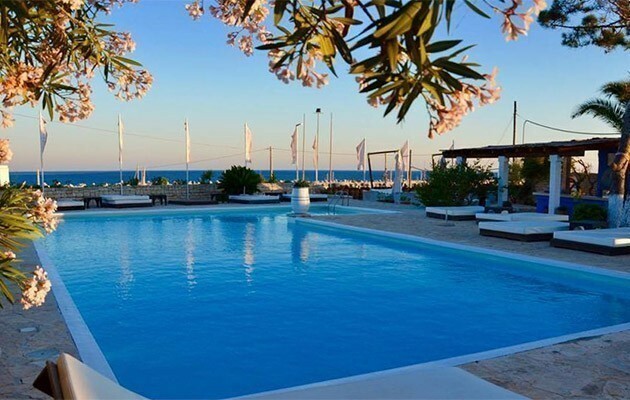 This lido is equipped with comfortable wooden platforms set on the rocks and is available free of charge for hotel guests from Monday to Saturday (Sunday with payment, € 25.00 for a beach umbrella and 2 sunbeds) from 1 June to 31 July and from 1 to 15 September. In August the Lido always requires payment (cost varies from € 30.00 to € 50.00 according to row. Towels available for a fee. A few km away there are some splendid sandy beaches (the nearest is some 6 km away.). 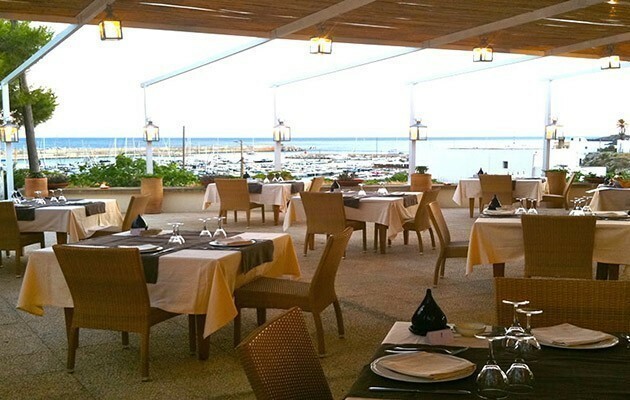 Situated on the panoramic terrace, the restaurant faces directly on to the marina and offers charming views over sea and coast. 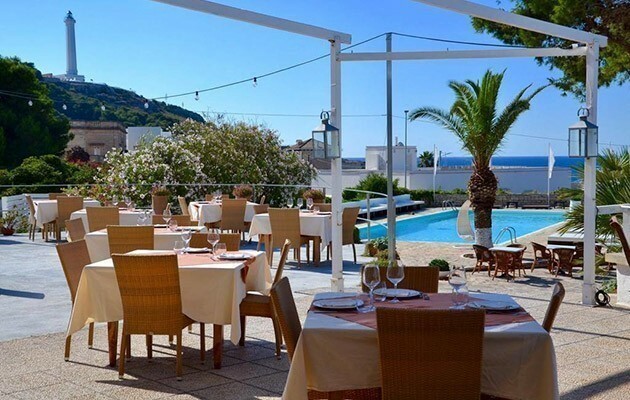 Dishes served follow the culinary traditions of Puglia and are marked by their wholesome, locally sourced ingredients, some coming directly from the Hotel’s gardens. 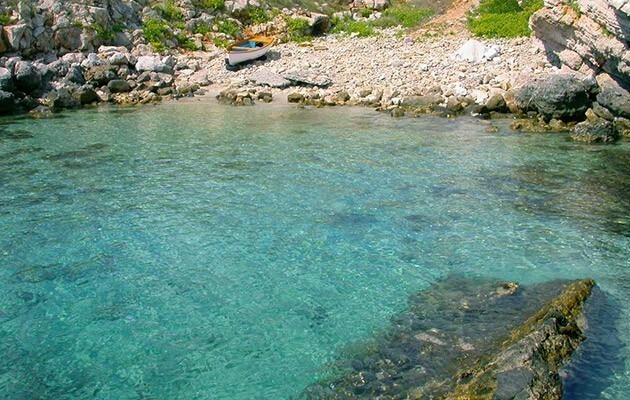 Fish is selected every day from the best local fishermen, while the pasta comes from a well-known Puglia pasta factory. Only the best ingredients can produce truly delicious dishes, with intense, authentic flavours, thus producing a harmony of flavours difficult to equal. 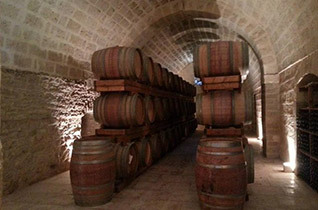 And it is thanks to this care and passion that the restaurant of the Approdo Boutique Hotel has been listed in the best food and wine guides, including Michelin. During the day, guests may take advantage of the “Sushi & Cocktail Bar” at pool-side and take a snack prepared by the hotel’s chef. Breakfast from 7:30 to 10:30, buffet style. Restaurant is open for lunch from 12:00 to14:30, à la carte. Evening meal from 19:30 to 23:00 à la carte or on half board basis (beverages not included). For all your requirements, suggestions on places to visit and to book excursions, the hotel’s staff is fully available to guests. Wi-Fi connection is available free of charge throughout the hotel. Pets admitted on request, with a supplementary charge of € 30.00 per stay but are not admitted to common areas. Tourist tax to be paid on the spot is € 2.00 per person per day in July and August and € 1.00 in the months of May, June and September. This tax is payable starting from 13 years of age, for a maximum of 10 nights. Late check-out is available with an extra charge, on request and according to availability. Please note, reception is open round the clock only in July and August. 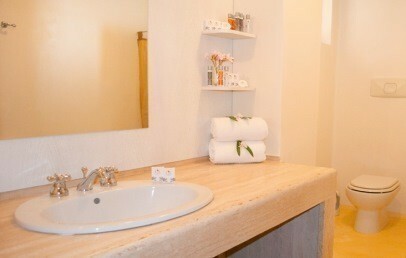 Mediterranean style rooms, modern and welcoming, located on the first floor. They are equipped with bathroom with shower and balcony of 3 sq.m. overlooking the pinewood. 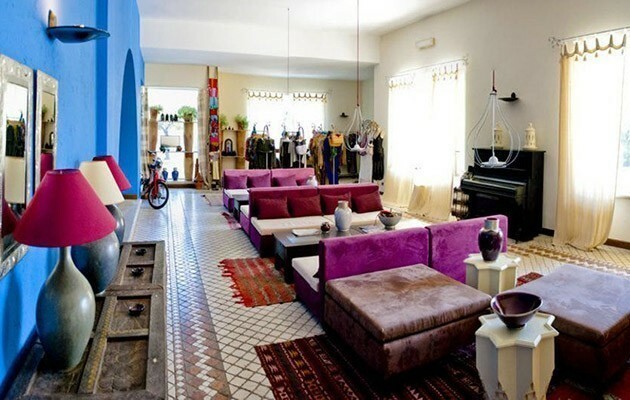 Mediterranean style rooms, modern and welcoming, located on the first floor. They have a bathroom with shower and a 5 sq.m. balcony overlooking the pinewood. 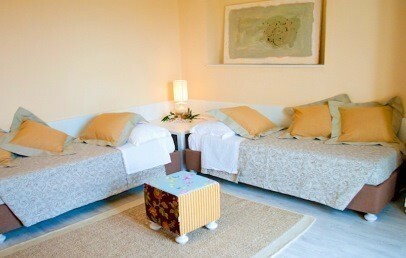 Mediterranean style rooms, modern and welcoming, located on the first floor. They have a bathroom with shower and a 5 sq.m. 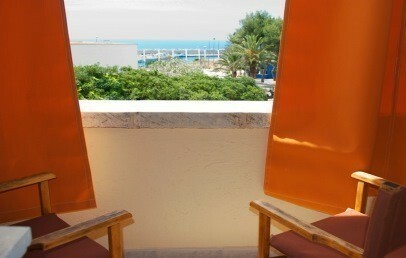 balcony with lateral sea view. 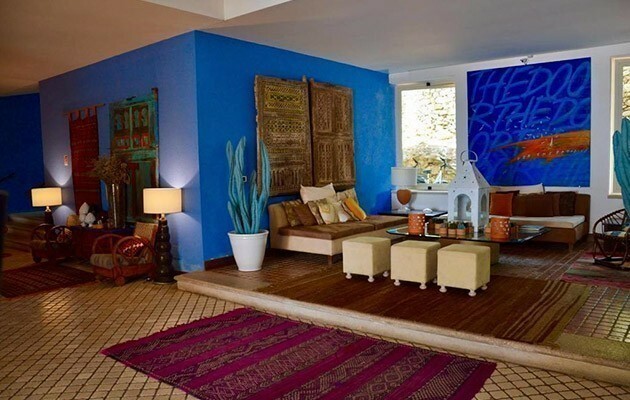 Mediterranean style rooms, modern and welcoming, located on the first floor. They have a bathroom with shower and a 5 sq.m. balcony with sea view. 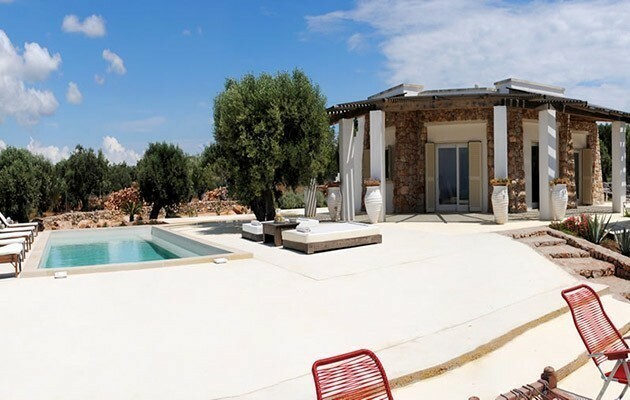 Mediterranean style rooms, modern and welcoming, located on the first floor. They have a bathroom with shower and a 18 sq.m. terrace with sea view. 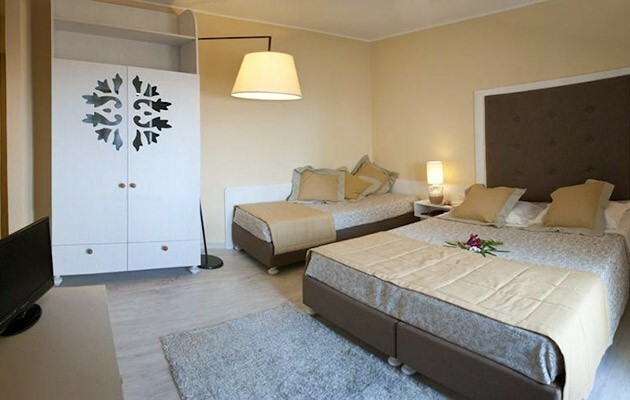 The hotel's unique Suite is located on the first floor and consists of two bedrooms, one with a double bed and one with twin beds. It has two bathrooms, one with Jacuzzi. 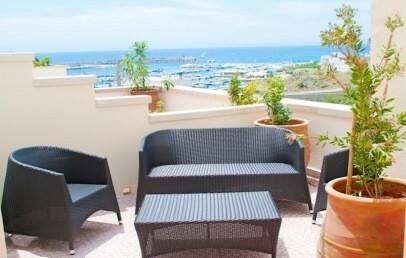 Terrace with sea view and balcony with side sea view. 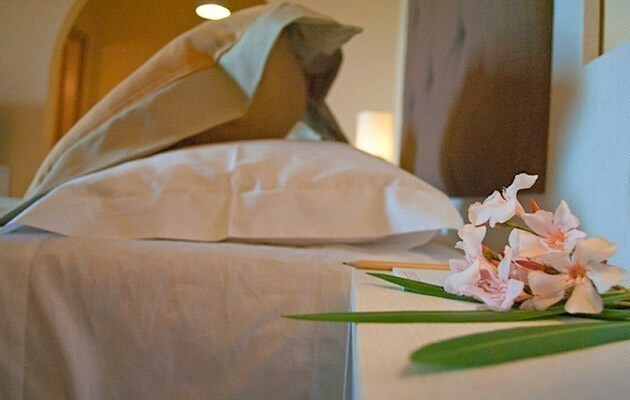 Non-refundable offer: 10% reduction on your stay! The rate is a non-refundable one and the total amount of the stay is to be paid upon confirmation.